ABC Russian: Where to find authentic books in Russian absolutely FREE and legally? Where to find authentic books in Russian absolutely FREE and legally? 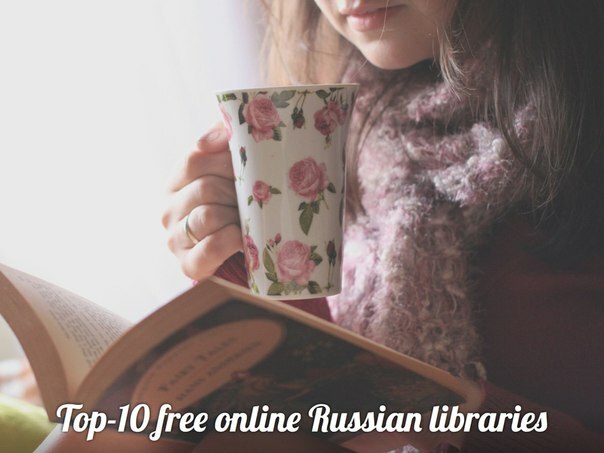 Here is the list of top-10 online Russian libraries where you can millions of books for any taste, a vast range of titles in digital format and this collection is growing all the time. The aim of these sites is to give quality, fast and required services for downloading and reading eBooks. These libraries will be helpful to all people who study Russian language and who wants to read Russian classic literature, modern literature, periodicals etc. These Free online Russian Libraries offer free, full-text versions of classic literary works from hundreds of celebrated authors, whose biographies, images, and famous quotations can also be found on the site. On these pages you will find a massive collection of periodicals from hundreds of leading publications covering Business and Industry, Humanities and Communications, Government and Entertainment, Health and Law, Politics and Leisure, Science and Technology and more. Explore these site through a keyword search, or simply browse the enormous collection of literary classics and up-to-date periodicals to find exactly what you need. 1. The first online Russian library I would like to mention is Maxim Moshkov’s Library. Maksim Moshkov created his library in 1994. The site is considered to be one of the oldest and the best Russian digital libraries. The site is free and supported by advertisements and private donations. A collection of literature online. Many books are available to read right off the computer screen while others can be purchased. Books by Russian and Westerns authors are plentiful. 3. Русская виртуальная библиотека (РВБ) or Russian virtual library - this is free scientific and educational online resource, designed for pupils, students, teachers and researchers of Russian literature. Russian virtual library publishes the works of Russian classics by authoritative scholarly publications, taking into account school and university programs. 5. Online library of CHM books. These books are in CHM format which means that they are beautiful with good navigation. These books are really looks like a real books! 6. Online Russian library of fantastics! Fundamental electronic library "Russian Literature and Folklore" (ESF) - full-text information system based on the works of Russian literature, bibliography, research and historical and biographical works. I hope you’ll find this list of free online libraries useful. Enjoy reading in Russian!